Rockingham County did not exist in 1746 in the state of New Hampshire. It was not founded until 1769. Samuel Chute: Taken to Granville, Annapolis County, Nova Scotia with his parents in 1759. Died crossing the Annapolis River to hear Reverend Thomas Handley Chipman preach. His death inspired a rather lengthy poem, penned by a C.E.W., Chute p. 27. CHUTE. All the numerous family of Chute in this and the neighboring counties are descended from John CHUTE, who was born at Byfield, in Rowley, Mass., June, 1792, and married at Timberlane, now Hampstead, N.H., Judith, dau. 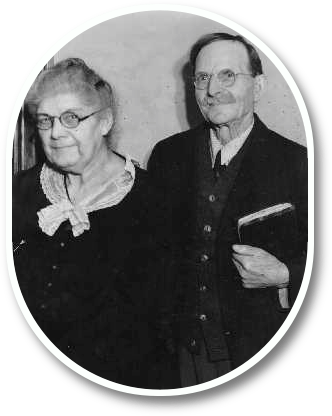 of Benjamin and Sarah Foster, a sister of the Isaac and Ezekiel who founded the Nova Scotia families of Foster. He was great-great-grandson of Lionel Chute, the noted school-teacher of the infant town of Ipswich, who came over from Dedham, Essex County, England, in 1634, and was of a family that came over with William the Conqueror. Baron Le Chute commanded a regiment of Norman troops at the battle of Hastings. John Chute came here in 1759 and was probably the first artificer in iron to settle in Granville. The lot he settled on was in recent times still occupied by the late Dimock Chute in his lifetime. He died November, 1791. The County of Annapolis in every section owes much to the thrift and energy of the descendants of John Chute. «b»Comments:«/b» Copy originally owned by George Maynard Chute, nephew of William Edward Chute with his signature on the flyleaf; handwritten notes in margins; passed to George Maynard Chute, Jr. who published an updated addendum to this work in 1968; passed to George Maynard Chute, III; passed to Jacqueline Irene Chute. Rockingham County did not exist in 1745 in the state of New Hampshire. It was not founded until 1769.